Tracey of Tracey's Treasure include one of my tutorials - Braided Wire Cuff - in her Etsy Treasury entitled - Learn How She Made It. 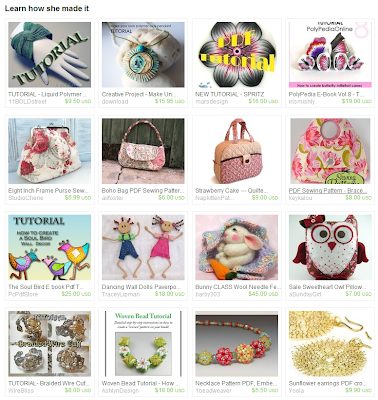 My Braided Wire Cuff Tutorial is right at the bottom left hand corner here. Great treasury Mei...it is always such a nice feeling when someone chooses something I've made for their treasury...congratulations!!! Great tutorial by the way...but then all your tutorials are great!